Amalfi, the main town on the popular Amalfi Coast, is a fine example of Italian seaside. The town stretches from its cosy spot in the cliffs down to the beaches below, lined with shops selling Italian wares, gelato and coffee. 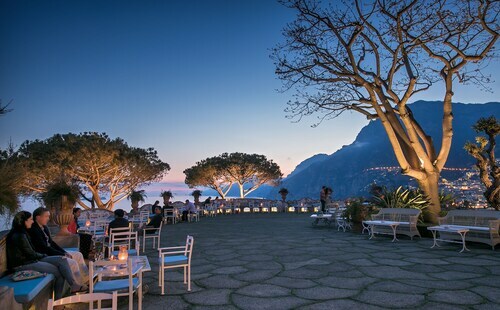 When you arrive on the Amalfi Coast, you know you’re somewhere special. As you descend into the town of Amalfi you’ll spot places that you’ll want to return to for leisurely coffee, or to peek inside promising shops selling art and trinkets. In the centre of the town is the Cathedral of St Andrew, which sits atop a grand staircase leading up to the cathedral.Be sure to stop to admire the architecture. The highlight of the cathedral must be the Chiostro del Paradiso, a cloister with a serene garden that invites you to take a gentle stroll before returning to the narrow streets. Amalfi has a lovely selection of beaches for stretching out on when you’ve spent hours traversing the snaking streets and alleys. Marina Grande is the main beach with bright, cheerful parasols to catch some shade from the summer sun and there are cafes along the beach so you don’t have to wander far for snacks and drinks. From the nearby harbour, take a boat to Emerald Grotto or Furore Fjord, or visit the isle of Capri, with its Piazzetta Square and boutique shopping. The abundant lemon trees and olive groves inspire the local menus. Don’t forget to sample the limoncello, and of course, traditional Italian gelato that comes in an array of tempting flavours. In fact, you’re spoilt for choice when it comes to dining in Amalfi, whether it’s fine dining that takes your fancy or something more casual in a seafront eatery. Make the most of your location to venture further along the coast and discover other towns, too, including Positano and Ravello. The latter has a simply stunning open air theatre, so check and see if there any performances before you visit. You won’t be disappointed to spend an evening in this beautiful setting. With its terrific views across the Bay of Naples to the imposing Mount Vesuvius, Sorrento is another appetising day trip from Amalfi. Italy is a great location for a beach holiday. If you like beach holidays in Amalfi then you're sure to love our cheap beach holidays to Sorrento or our Capri beach holidays. 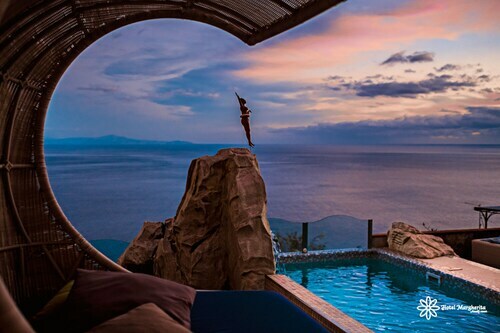 Book with Expedia and find out why for yourself. Explore this sea cave where the water glows green and a manmade work of art can be seen below the surface. Revel in this baroque church’s many attractions, including religious relics and artwork, a museum, cloisters and concerts. Visit the beautiful terraced gardens that hang over the sea and once inspired the German composer Richard Wagner at this 13th century villa. This ancient church is dedicated to Praiano’s patron saint and contains some of his remains and priceless works of art. 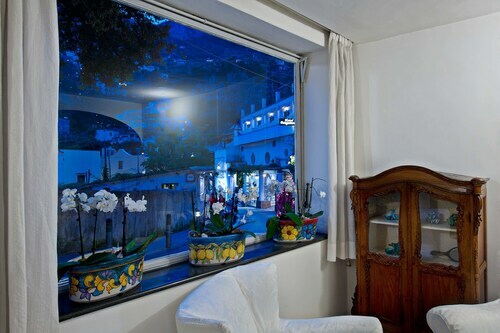 Located in Positano City Centre, this hotel is steps away from Piazza dei Mulini and Church of Santa Maria Assunta. Positano Tourist Office and Spiaggia Grande are also within 10 minutes. Situated in the historical district, this hotel is within a 15-minute walk of Positano Town Hall, Church of Santa Maria Assunta and Spiaggia Grande. Positano Tourist Office and Positano Ferry are also within 15 minutes. 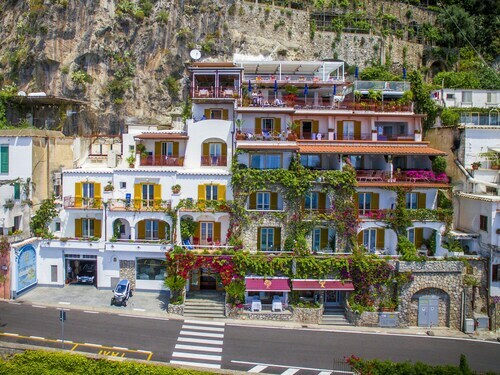 Situated in Praiano, this hotel is 0.7 mi (1.2 km) from Marina di Praia and within 6 miles (10 km) of Fiordo di Furore Beach and Emerald Grotto. 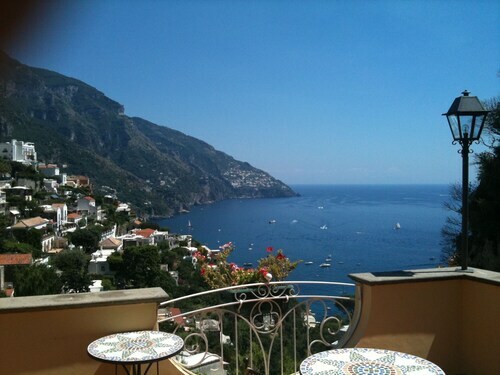 Amalfi Beach and Positano Town Hall are also within 9 miles (15 km). Situated by the sea, this hotel is within a 15-minute walk of Positano Town Hall, Church of Santa Maria Assunta and Positano Tourist Office. Spiaggia Grande and Positano Ferry are also within 15 minutes. 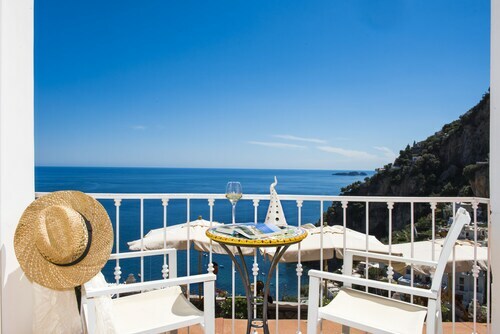 Situated in Positano, this luxury hotel is within a 10-minute walk of Positano Town Hall, Church of Santa Maria Assunta, and Positano Tourist Office. Spiaggia Grande and Positano Ferry are also within 15 minutes. 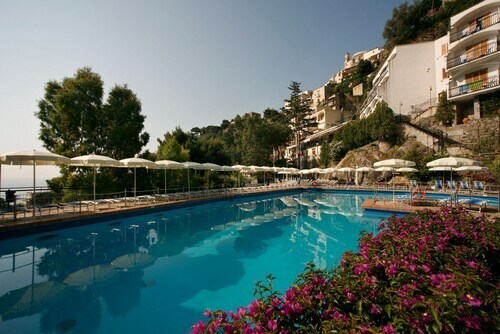 Nestled on the beach, this Laurito hotel is within 2 mi (3 km) of Spiaggia Grande, Fornillo Beach and Positano Ferry. Piazza dei Mulini and Church of Santa Maria Assunta are also within 2 miles (3 km).